Most sleepers are combination sleepers, meaning they change sleeping positions throughout the night — and sometimes as many as 36 times! Finding a mattress that works for all the sleeping positions can be a challenge, but is possible with so many mattress choices. 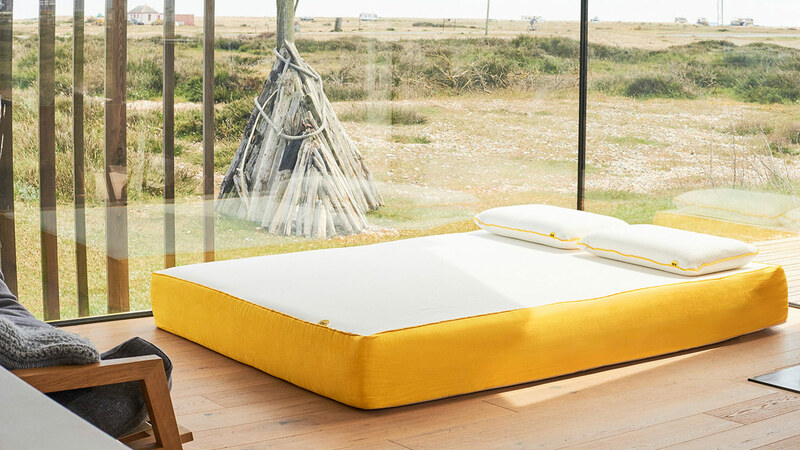 We’ve ranked the best mattresses for combination sleepers – view the list below! Click here to jump to our top rated mattresses for combination sleepers! 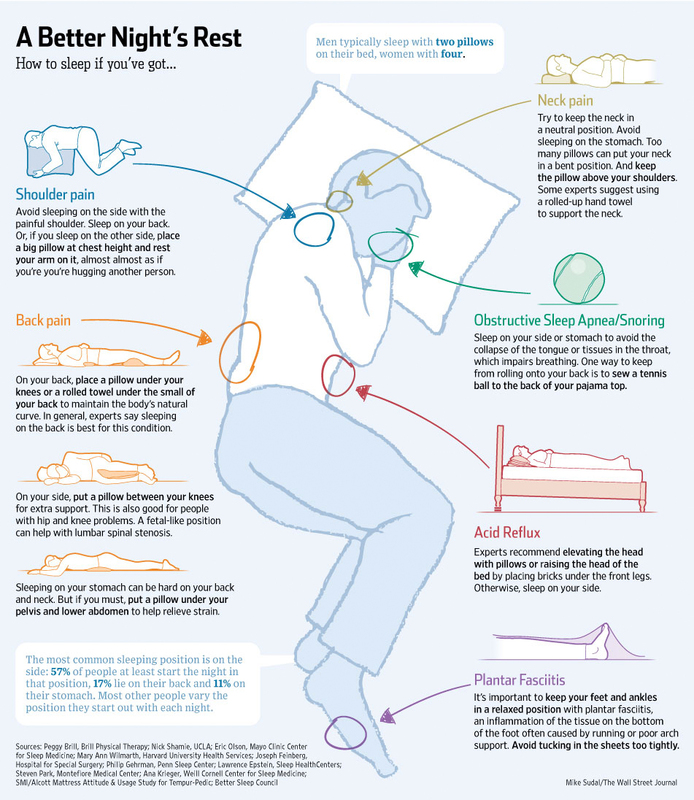 Each sleeping position needs a good amount of support – from the stomach to the side to the back – to keep the body and spine aligned. Combination sleepers can consider a mattress that has a thick support layer (or layers) for consistent stability and support that will keep the sleeper comfortable in all sleeping positions. The desired conformity of a comfort layer varies based on sleep position, personal preference, and weight. Side sleepers need the thickest layer to cradle the body, while back sleepers need a less thick comfort layer, and stomach sleepers need the thinnest layer. Combination sleepers should consider choosing a mattress with a comfort layer that is a little thinner than the sleep position used most that requires the thickest comfort layer. Plus, combination sleepers can consider a transition layer, too, which can help sleepers sink down enough, but not too far. It’s ok to move positions during sleep, and it can even be beneficial for circulation as long as you’re getting healthy sleep. When combination sleepers do move positions, they will want to make sure they can do it with ease, so that the body isn’t being strained or it doesn’t cause too much bouncing around (with sleeping partner in mind, if necessary). For sleepers who prefer a thicker comfort layer (side and back sleepers mostly) and don’t move positions as much during the night, consider a mattress with a firmer support layer (or one thick layer). Finding a mattress for combination sleepers is more complex than finding a mattress for sleepers who have basic needs, for one sleeping position. The nature of combining all different sleep positions can mean that a sleeper’s needs are always changing. Combination sleepers can move a lot throughout the night when changing sleep positions. Finding a bed that works for both the combination sleeper and his or her partner, if they have one, can be a challenge. Both sleepers likely have different sleeping styles, preferences, and needs. Choosing a mattress that helps cushion the impact of the sleep position movement (and isn’t too bouncy) can help with this issue. What is the best type of mattress for combination sleepers? Note: Combination sleepers should consider selecting a mattress that is medium to medium-firm (level of 4-7) on a scale of 1-10 with 10 being the firmest, which is average for most sleeping positions and sleepers. For selecting a comfort layer, combination sleepers will want to consider the most-used sleeping positions to determine the thickness for the comfort layer that cradles the body. Finding the right mattress that meets the ever-changing needs for combination sleepers is important for promoting healthy sleep. Sleepers who change positions regularly need a mattress that is both supportive and soft enough for each sleeping position. With a wealth of information available to consumers about the mattress market, personal preference does take precedent for each sleeper when choosing a mattress. This guide suggests the best mattresses for combination sleepers based on research from publically available sources like forums, chat boards, company websites, reviews, and information provided by consumers. Research findings informed these mattress recommendations, which are not weighted by any means, as information on each mattress was evaluated and taken into account as a whole. Ultimately, these top-ranked mattresses for combination sleepers are high-quality mattresses with the best design, technology, durability, and special features available on the market. The DreamCloud is a hybrid mattress that combines foam and spring layers to maximize comfort and support. The 15-inch thick mattress features three layers. The foundation of the mattress is a layer of high-density poly foam for support and structure. The mid-section includes 2 layers of high-density foam followed by the innerspring layer of zoned and a 5-zone pocket coil system. The 5-zone pocket-coil system provides the proper spinal alignment along with perimeter support to prevent edge collapse, both of which are crucial for combination sleepers. The cashmere cover is hand-anchored to 2 top layers of memory foam, a gel-infused layer for cooling and a quilted layer for body contouring. Consistent support: The DreamCloud’s combination of high-density foam and 5-zone pocketed coils enables sleepers to feel supported anywhere on the mattress and in multiple sleeping positions. Quality: The DreamCloud is a luxury mattress that boasts high-quality components. Sleep trial and warranty: DreamCloud offers a 365-night sleep trial and an “Everlong” warranty. Read our full DreamCloud mattress review to learn more about the DreamCloud mattress. Get $200 off the DreamCloud mattress! The Sapira mattress, which took more than a year to design, was introduced by online mattress brand Leesa. The Sapira is a hybrid mattress designed with an innerspring support core made with pocketed coils, and a multi-comfort layer system. The support core is made with scrap steel that’s recycled and heated to more than 3,000 degrees to create a molten steel that is made into wire that is used to make support core coils. The mattress’ comfort layers feature a 1.5-inch Aveena foam, a 1.5-inch memory foam layer, and a 1-inch foam layer. These layers are made to hug the body — offering great pressure relief and comfort, which is ideal for combination sleepers who use each sleeping position. Support: The Sapira is an incredibly supportive hybrid mattress that will support combination sleepers as they change positions throughout the night. Firmness: This mattress is ideal for combination sleepers who need pressure relief but don’t want to sink into the mattress, making it more difficult to change positions. Edge support: The springs in the Sapira go all the way to the edge of the mattress, allowing combination sleepers to feel support anywhere on the bed. 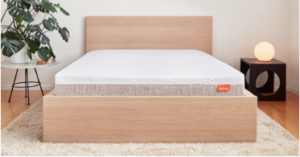 Learn more about Sapira in our full Sapira mattress review. Check out these 6 brands that are ideal for combination sleepers. Bear Mattress was founded in 2015 with the goal of promoting healthier sleep for people so they can perform at their best — whether they are professional athletes or teens, and everyone in between. The Bear Mattress is a durable foam mattress made with four layers of foam with cooling technology. The support core is made with a 6.5-inch high density support foam that adds strength to the mattress’ comfort layers and to provide ample support needed for each sleeping position. 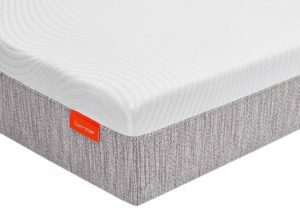 The comfort layers include a 1-inch memory foam layer that’s a graphite gel foam to help promote cooler sleep and a 2.5-inch response foam that helps align the spine and offers pressure relief. Bear Mattresses include a cover that’s made to absorb the body’s heat to help sleepers stay cool. The cover also reflects Infrared light to help the body recover. Sleeps cool: The cover is designed to absorb body heat and reflect Infrared light. Pressure relief: Bear’s high-density gel-infused memory foam comfort layer provides pressure relief and body alignment, while also cradling the body without allowing sleepers to sink down too far. Firmness: Bear Mattress is medium to medium-firm, which is recommended for many sleeping positions—making it ideal for combination sleepers. To learn more about Bear Mattress, read our full Bear Mattress review. The Alexander Signature Series from Nest Bedding is a memory foam mattress that provides contouring comfort while maintaining an excellent amount of support. The medium firmness level is likely the best option for combination sleepers as it allows for support and comfort in different sleeping positions. 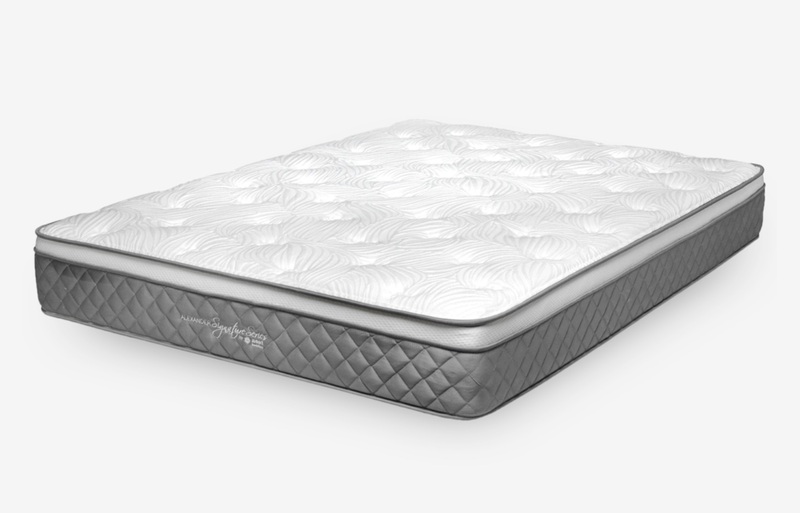 A 2” quilted cover sits atop 4” of gel memory foam that absorbs and dispels heat, and provides pressure relief. The 1” visco foam layer provides bounce and responsiveness. 2” of transition foam lends additional support to the first 2 layers and gives compression support to heavier sleepers. Lastly, 4” of base foam improves edge support and prevents bottoming out. Support: The degree of support offered by the Alexander Signature Series separates it from other mattresses in the memory foam category. Comfort: The Alexander Signature Series is available in several firmness choices, so combination sleepers can find the right mattress for their needs. Warranty: A 20-year warranty gives consumers ample coverage that doubles the industry standard. Read our full Nest Bedding Alexander Signatures Series mattress review to learn more. The Eve Mattress is constructed with a new memory foam that offers bounce and cooling, unlike many other memory foam mattresses. Eve boasts a 6.5-inch foundational high-density base foam layer that makes up the support core of the mattress. The base layer gives these mattresses a lot of durability. A second 1-inch memory foam comfort layer performs well in response to the body’s shape, weight, and movement. The third layer features a 2-inch next generation memory foam that is highly elastic, responsive, and pressure relieving. This comfort layer is responsible for temperature control and conforming to the body. 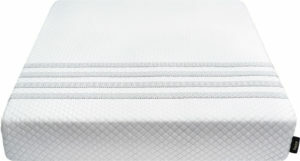 The durable support and the conformity of the comfort layers make this mattress ideal for combination sleepers, who sleep in many different positions and move frequently throughout the night. Bounce: The Eve mattress offers good responsiveness and bounce, which is a great feature for combination sleepers. Firmness: The Eve mattress offers a balance of firmness and cradling that allows combination sleepers to feel supported as they change positions. Customer service: Customers note that Eve offers fast service and a hassle-free buying experience. Be sure to check out our full Eve mattress review to learn all about the Eve Mattress. The Luxi mattress offers a high level of customizability. Sleepers can customize the firmness layer of the entire bed, or just their individual side of the bed, by unzipping the cover and rearranging the foam layers inside. This allows combination sleepers to quickly change up the layers of the Luxi. The Luxi mattress is a 10” mattress with 4 foam layers, one of which includes latex. These layers consist of a 3.5” layer of base poly foam, a 1.5” layer of latex foam, a 1” layer of memory foam, and a unique patented 3.5” layer of “support balancing technology” foam heads. The latex layer adds a cooling component, as does the open cell construction of the base layer of foam and the channeled layer of foam built of foam heads. Customizability: The foam/latex hybrid mattress offers combination sleepers the ability to split and flip the individual layers. Support: The Luxi boasts several layers of dense foam that combination sleepers can rearrange to fit their personal firmness level. Comfort: Foam and latex comfort layers, as well as temperature control features, ensure combination sleepers rest comfortably. 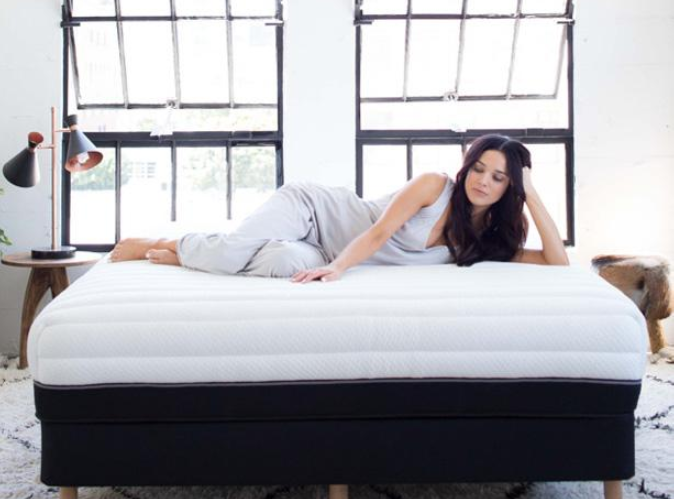 Read our full Luxi mattress review to learn more about Luxi. Much like its name, the Tempur-Pedic TEMPUR-Cloud resembles the feeling of sleeping on a soft cloud with firmness levels ranging from soft to medium soft. The mattress support core is made with a memory foam material that helps distribute weight evenly, which is important for combination sleepers who change positions often. Multiple comfort layers offer softness and pressure relief and a fiber layer made with a cooling technology helps regulate temperature. The TEMPUR-Cloud models are compatible with the Tempur-Pedic adjustable base that offers flexibility for both sides of the bed. Motion isolation: The TEMPUR-Cloud excels at isolating motion, so that a combination sleeper’s partner will not be disturbed when they change positions. Comfort: The memory foam comfort layers conform well to each combination sleeper’s body based on weight, size, shape, and sleeping position. Options: The TEMPUR-Cloud line offers six different mattress models with different firmness options, so that combination sleepers can find the right firmness for them. Want to learn more about the Tempur-Pedic TEMPUR-Cloud series? Read our full TEMPUR-Cloud mattress review. Tomorrow Sleep is the maker of the Tomorrow mattress, a hybrid coil and foam mattress. The mattress was engineered based on research by Serta Simmons Bedding and addresses two issues combination sleepers often face with memory foam: support and sleeping hot. The Tomorrow mattress is 10-inches thick, comes in two firmness levels (medium soft and medium firm), and boasts four layers and a cover. The top layer is a high-density memory foam that sits atop a layer of gel. The gel layer has cooling properties, as does the pocketed steel coil system. The coil layer incorporates side rails that provide edge support and further cooling by allowing heat to escape through the sides of the mattress. All these layers rest on a base layer of foam. Pressure relief: The Tomorrow’s coil system combines with memory foam layers to provide ideal levels of pressure relief and support for combination sleepers. Temperature control: Airflow through the pocket coils helps sleepers stay cool, as does the cover. Motion isolation: The pocket coils work independently of each other so that’s a combination sleeper’s partner won’t be disturbed as they change positions throughout the night. Read our full Tomorrow Sleep mattress review to go in-depth with the Tomorrow mattress. Visit the Tomorrow Sleep website for discounts on the Tomorrow mattress! What else should a combination sleeper consider? Picking the right mattress is the first step! Pillows are just as important for combination sleepers to offer the right amount of support in all sleep positions. 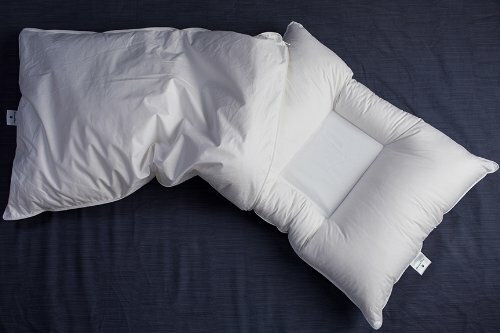 Consider these tips when selecting a pillow that’s best for combination sleepers. Combination sleepers also need to be aware that switching positions by twisting the body can put pressure on joints and cause issues. Any position movements should be done by moving the whole body as a unit. There are some benefits to buying your mattress online, so consider these tips if that’s your plan.